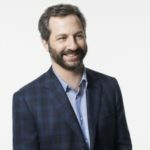 Judd Apatow is giving 1 fan a pair of VIP tickets and a chance to meet him at his show on July 25 at the Comedy Connection to support the Boys & Girls Clubs of Providence. Enter today and be part of the movement to provide the 6,000 kids who attend our Clubs develop essential skills, make lasting connections and have fun! Click here now to enter this fantastic opportunity!